Mark Sadek Elected to Lead the Largest Local Realtor Association in the U.S. The MIAMI Association of REALTORS® (MIAMI) has elected Coral Springs Realtor Mark Sadek as its 2016 chairman of the board. He and the entire 2016 Corporate Board of Directors will be installed this afternoon at MIAMI’s Annual Inaugural and Awards Luncheon. The MIAMI Corporate Board is dedicated to leadership in the industry, the real estate profession, and the communities they serve. MIAMI represents more than 41,000 residential, commercial, and international real estate professionals. Company as a Corporate Trainer and Management Developer. In 2004, he joined The Keyes Company in Weston as a Realtor, and within a few short months was a designated certified Field Trainer of new associates. Sadek was the first trainer in Keyes history to earn the Title of Master Field Trainer, having successfully graduated more new people to higher sales than anyone else. Subsequently, he was asked to take on the role of assistant branch manager, during which time he entered the Keyes Cadre Management training course led by the late Chairman Ted Pappas. In 2008 after thirteen months in training, he was the first graduate in his group to be offered a management position. Sadek is currently district sales manager of the Keyes Coral Springs branch, which includes the support of top selling Keyes associate Marta Dupree and her team as well as more than 120 associates. In 2012, he built a new location that has risen to the top level in all categories within the Keyes organization. 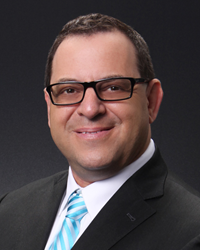 Sadek served as the 2014 President of the Broward Council of the MIAMI Association of REALTORS®. He was also a Governor on the board in previous years. During his presidential term in 2014, Sadek initiated the first Broward Young Professionals Network, which has grown to more than 200 members. Realtors and has served on several Realtor committees. This year, he will represent MIAMI along with other MIAMI Leaders at the world's foremost property and real estate show, MIPIM, in Cannes, France. Joining Sadek on the Corporate Board are 2017 Chairman of the Board-Elect Christopher Zoller, CRS of EWM Realty International; 2015 Chairman of the Board John Dohm, SIOR, CCIM, CFP of Infinity Commercial Real Estate; Secretary Christina Pappas of The Keyes Company, Inc.; Treasurer Jack H. Levine, ABR, ABRM, CRB, CRS, SRES of Levine Realty Inc.; 2016 Commercial President Maria G. Juncadella, CCIM, MBA of Fairchild Partners, Inc.; 2016 Residential President Carlos Gutierrez, P.A. of Gutierrez Group Miami Real Estate Keller Williams Miami Beach; 2016 Broward President Donna Reid, AHWD of Coldwell Banker Residential Real Estate; 2016 YPN Chairman Jorge L. Guerra Jr. of Real Estate Sales Force, Inc.; 2016 JTHS Council President Sue Gaieski, e-PRO, SFR of Water Pointe Realty Group; 2017 Commercial President-Elect Jose Maria Serrano, CCIM of New Miami Realty Corp.; 2017 Residential President-Elect George C. Jalil, RAA, TRC of First Service Realty Real Living; 2017 Broward President-Elect Ellen Mitchel, CRS, CDPE of RE/MAX Executive Realty; 2017 YPN Chairman-Elect Alberto Carrillo of Related ISG International Realty; 2017 JTHS Council President-Elect Lynne Rifkin, PMN, SFR, SFRES of Keller Williams Realty/Jupiter; Director Francisco Angulo, CIPS, CRB, CRS, TRC, GRI of Coldwell Banker Residential Real Estate; Director Terri Bersach, CRB, CRS, CIPS, SFR, TRC of Coldwell Banker Residential Real Estate; Director Nancy Hogan, CIPS of Avatar Real Estate Services; Director Natascha Tello, CDPE, CIAS of Keller Williams Realty Partners SW; Director Moe Veissi of Veissi & Associates, Inc.; Director Ron Shuffield of Esslinger-Wooten-Maxwell Realtors® (EWM). Teresa King Kinney, CAE, CIPS, GRI, RCE, TRC serves as the CEO for the MIAMI Association of REALTORS®.